The Bible proclaims that there are mountains under the oceans and seas. This would not have been scientifically validated until in recent centuries when mankind was able to perform deep sea diving and use underwater submersion vehicles. First, no one can make an accurate claim (to something that is later proven true) they could not observe or ‘scientifically’ reproduce, unless they choose to make an educated guess (or uneducated) at it. If the bible was full of educated (or uneducated) guesses it would have many errors, especially considering the scientific advantage we currently have, we would have found many fallacies but we do not find any in the bible. 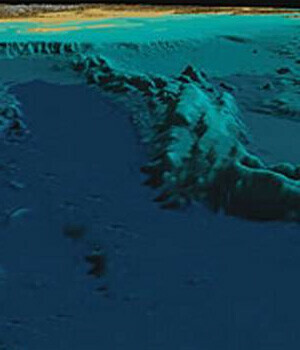 Second, mankind probably would NOT have made the connection between what they see on land with what could possible be under the ocean, because there was no way for people to have known anything about oceanography or what the ocean floor looked like, in fact most scientists consider that we know more about cosmology then we do about our own oceans.